Very good service had everyone on the dance floor well recommended. The LED dance floor looked amazing and had a lot of great comments! Thank you! Amazing! Lights were amazing variety of music was spot on for a varied age range! Couldn’t ask for a better DJ for our wedding! Professional from the moment of contact to the end of the night. The music was spot on and everyone enjoyed until the early hours! Thanks Rikki for making our wedding evening one to remember! Had Rikki for our engagement after being recommended by a friend! He was nothing but professional, attentive and definitely got everyone up on Their feet! He came to the house 2 weeks before to meet us and find out exactly what we wanted!! He played anything all my guests wanted and his set looked brilliant! Definitely recommend to you all guys! Good job Rikki! Thank you so much for last night Rikki. You made the party amazing. I had a great evening thanks to you! Couldn’t of asked for a better DJ for our wedding night. Rikki understood exactly what we wanted and went the extra mile on the night! Would highly recommend him to anyone!! Rikki’s Mobile Disco not only provided fab music, a great mix for our first dance and the best lighting we’ve ever seen but was thoroughly professional and friendly from the minute we met right through to the last song played. Would HIGHLY recommend! We had Rikki for our recent wedding at Pencoed House. Rikki’s wedding set up and uplighting looked amazing. He was so friendly throughout the booking process and the wedding itself. He played great tunes, including our playlist and was flexible and took requests on the night. Thanks so much for the amazing atmosphere you created. Thanks Rikki! 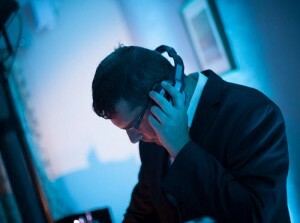 My name is Richard Davies and I have been providing a fantastic wedding DJ service since 2001. 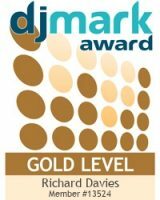 I perform as a Swansea mobile wedding DJ and private function party DJ at over 100 events every year. 90% of my work is hosting weddings in South and West Wales and I would love to use my experience and skills to provide you with the perfect end to your perfect day! I am not your usual ‘laptop on a table’ type of DJ and spend a lot of time and effort to make sure that everything looks fantastic for you and your guests. I have a dedicated page on Facebook here: Click me! 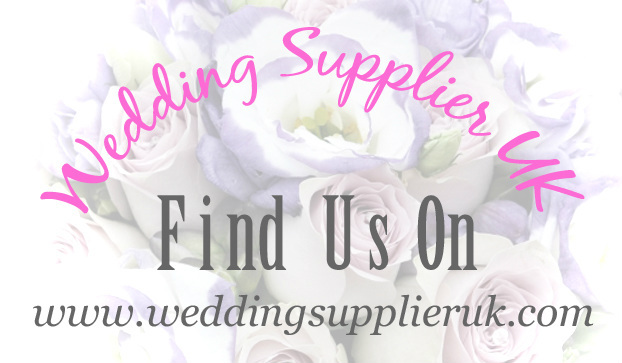 Have a browse and you will get to see up to date photos and read genuine unsolicited feedback from previous wedding parties and events that I have hosted. As well as my professional DJ service, I can also offer a wide range of optional extras such as LED starlit dance floors, large illuminated LOVE sign, personalised name projection and venue uplighting / mood lighting (which can transform your venue into something truly spectacular!). These extras are available with or without my DJ service! 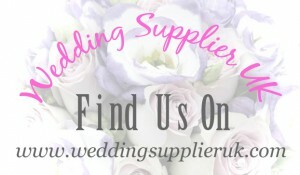 Please feel free to browse my website and if you have any questions or queries, then please do not hesitate to contact me.